Rich Armstrong is the President of The Great Game of Business, Inc. and a 20+ year veteran of SRC Holdings Corporation. He co-authored the update to The Great Game of Business 20th Anniversary Edition: ‘Get in the Game – The Interactive Guide’ with GGOB Vice President, Steve Baker. Rich has been instrumental in the ongoing design and development of the GGOB methodology because of his practical, “first-hand” experience running businesses at SRC – experience that has enabled him to successfully apply the practices of GGOB in both small and large-scale company implementations around the world. Known for his engaging, down to earth and authentic style, Rich is a popular, versatile speaker and business coach for audiences ranging from executive leadership to front-line employees. 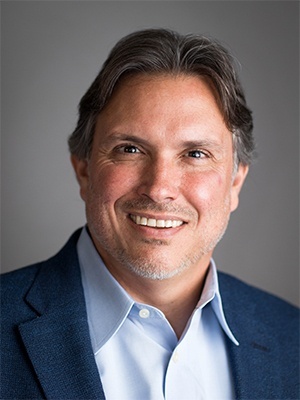 Rich holds a degree in business from Pittsburg State University and serves on the board of Court Appointed Special Advocates for children (CASA) and the National Center for Employee Ownership (NCEO). Combined with the love and enjoyment of his family, including two wonderful children, Ryan and Rylee, Rich is an avid musician and will often be found enjoying music in his home studio.